Royal Waistbeads is pleased to provide you with waistbeads measuring tips to get your perfect fit for your Royal Waistbeads premier designer waistbeads (or waist beads or belly beads). Shop now to take 50% off your total purchase of the highest quality best selling waist beads with coupon code ROYALTY50. 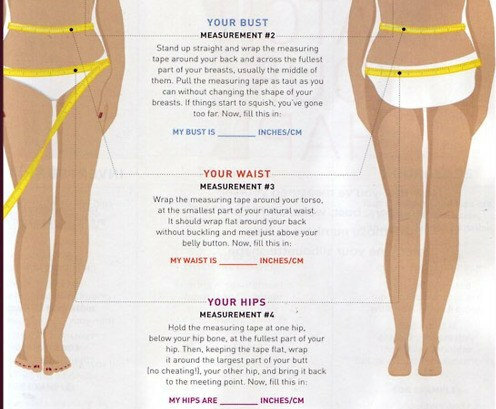 You can also ask to be measured the next time you are in a lingerie store a department store's intimates section. 1) Remove or raise any layers of clothing blocking your waist. 2) Take your measurement. Stand up straight, hold the tape measure behind you, and bring it around your waist to meet at your navel. The tape should be parallel to the floor and fit snugly around your torso without digging into your skin. 3) Read the tape. Look at the place on the tape where zero end meets the other end of the tape measure. The location of this meeting point is your waist measurement. 4) Double-check your measurement. Repeat the measurement once more to ensure the accuracy of your original measurement. Use a tape measure and measure against your bare skin without sucking in your stomach. You shouldn't hold the tape loose nor too snug. Think about where you want to wear the beads. Underneath your clothes, around your navel? With a bikini, draped low at your bikini bottoms? With a crop top, sitting about your pants? Choose your size accordingly. If you want your beads to be versatile, you can request to make its size adjustable with a custom made extension piece made to match your waistbeads. The adjustable piece can be added on by selecting this listing with your purchase. This way, you can wear them however you like--high or low--and feel free to switch your style up. The adjustable piece is also a popular option for those in the process of losing weight. The extension piece is made so that waistbeads' length can be decreased as the wearer's waist size gets smaller. Measure yourself standing up, against your bare skin. Want versatility in where your waistbeads will hang? Waistbeads look great when stacked!